Ken Levine: Logan's Run "Inspired Almost My Entire Career"
BioShock mastermind Ken Levine says he's writing the script for a new Logan's Run film because he "sort of forced them to give me the job." 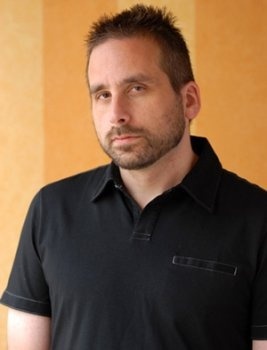 It came to light in June that Ken Levine, best known as the guy behind BioShock, System Shock 2 and a pile of other games, had been tapped to write the screenplay for a remake of the 1976 sci-fi flick Logan's Run. It's not as dramatic a shift in interests as it might seem - Levine was a screenwriter before making the move to the games industry in the mid-90s - and in fact, the film was a very big influence on just about everything he's done since. "It was the first dystopia story I ever saw and if you know my games, obviously it had a huge impact on me," he told GameSpot. "So I actually talked to [Warner Bros.] and I sort of forced them to give me the job because I said there is no person on Earth who spent more time thinking about Logan's Run and spent more of his career sort of doing things that came off that experience." "I think Logan's Run, because it's such a 70s goofy thing, I think there's a story in there, that there's a real good story there that needs to be told," he said. "And it's certainly inspired almost my entire career." Of course, the story of the Logan's Run film that so inspired Levine is based (loosely) on a novel by the same name, written by William F. Nolan and George Clayton Johnson, that was published in 1967. While both have the same basic concepts - a dystopian future in which everyone is euthanized at an early age in order to maintain societal equilibrium - they differ dramatically in detail. Levine also said that while he's signed to write the script for a new Logan's Run film, he hasn't actually started it yet.